Everyone throws the word metabolism around in a variety of different medical situations; and most of us think we know what it is and how our bodies are affected. There are some key pieces of information that we must take into consideration and one of them is that your metabolism is greatly affected by the intake (or lack of) of nutrients. The word metabolism actually refers to quite a few biomechanical bodily reactions that happen within the human body cells. These reactions keep everything functioning and also help in the general maintenance of the body. The main core purpose of the metabolism is to synthesize substances (or break them down) and produce energy. Each person’s metabolism regulates the efficiency of the processes. In some cases, an individual’s body may have difficulty and we usually refer to that as a slow metabolism. Other people have no problems at all. Their bodies use the calories that are taken in, break them down and process quickly into energy. Metabolic speed is dependent on three topics: the amount of calories you take into your body, the amount of calories you burn and your genetic makeup. Exercise and a high level of activity will increase the body’s energy need and keeps the metabolism at a higher level of activity to compensate for that need. The metabolic speed does typically decrease with age, but that is usually blamed on the fact that the older individual isn’t involved in the intense exercise of the younger years. Another key thing to remember is that the body fat vs. muscle ratio in your body can affect the metabolism. Muscles need more energy ergo burn higher calories and they do raise the metabolic rate. We all know that diet can affect the metabolism. The consumption of a high level of fatty foods or those without any nutrition can add calories and fat to the body. However, on the other side of the topic, restricting caloric intake can throw the metabolism completely off by thinking it is in a survival situation. In that mode, the body stores as much of the excess calories as possible and turns it into fat. Metabolic support can be helped by supplements. The entire B vitamin family (B1, 2, 3, pantothenic acid, B6 & 12, folic acid and biotin) are some of the best vitamins to help in the metabolic process. CoQ10 and magnesium help the body to break down food into energy. Multivitamins are the best way to ensure that you get all of your ‘B’s” as well as the other vitamins that you need. If you are considering adding a multivitamin to your dietary regiment, do your research. 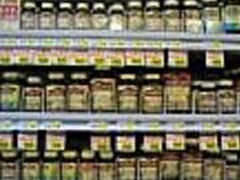 The best vitamin selections will be found at your local health store. Not all supplements are alike – so talk to the store representative for recommendations. The label that is on the container will also inform you of each vitamin content as well as where it is manufactured. Always consult with your physician or dietician before making any major changes to your dietary regiment. Do We Need to Start Counting Calories to Lose Weight?